1964 Jaguar E-Type Series 1 Roadster: One documented owner since new; all numbers match; freshly restored to beautiful condition. No accidents, uniform factory body gaps, excellent original bonnet. Body was completely dismantled and taken to metal; all panels were hand blocked; painted with high-quality Carmen Red paint (original color); all seals were replaced new upon reassembly. Engine is completely rebuilt with less than 100 miles on it; new clutch; new stainless steel exhaust; new shocks; new leather interior; new top. Far too many details to list here, please see the pictures below to see some of the process. 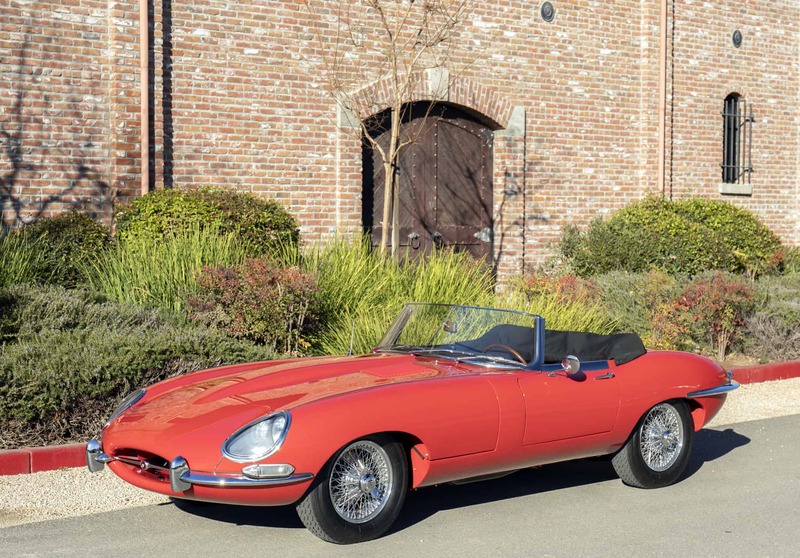 The original owner listed on the Heritage Certificate is also shown on the registration and original sales document, a genuine one-owner Series 1 E-Type. We purchased this car from the original owner a year ago and we completed the restoration at our facility in Pleasanton CA. We go to extents to document our cars in pictures and provide the most transparent listings on Ebay. Please study the pictures carefully rather than requesting descriptions. Please complete any inspections or ask any questions prior to bidding or committing to buy the car. Thanks for the interest!